ArtWorks is kicking off 2019 with a new project in partnership with 3CDC at Ziegler Pool. ArtWorks will hire local youth apprentices and a professional artist to paint a mural around the bordering wall at the community pool in Over-the-Rhine. ArtWorks will hire four Youth Apprentices, ages 14 – 21 years-old and local artist Evan Hildebrandt will manage the execution of the mural. The design was created by Andrew Neyer with influence from kids who participated in community engagement sessions at Saturday Hoops, a Cincinnati Youth Collaborative program. 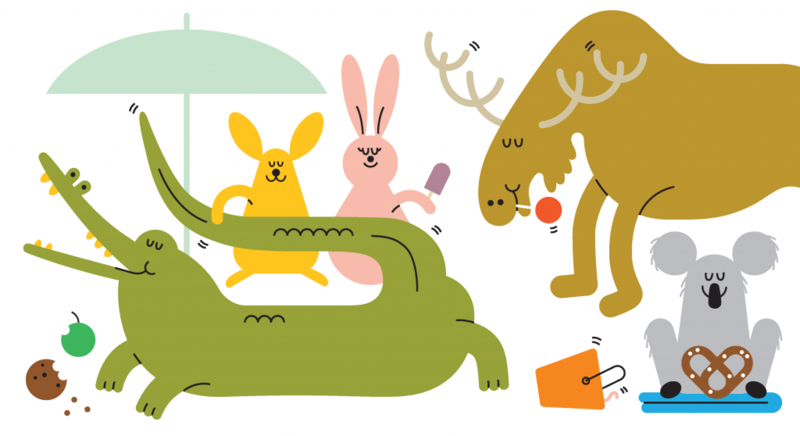 In the design, animals of all kinds come together to play, swim, relax and sunbathe. The full-size characters in the mural mimic the activities of pool-goers and create fun posing opportunities for taking photographs and being silly with friends and family. The focal point of the mural will be a rhino, the Ziegler Pool swim team’s mascot. The project kicked off yesterday and ArtWorks’ team will be on site until the mural is finished in early May. Ziegler Pool opens for the season on April 29, so pool patrons will get to see the process firsthand. This mural is funded thanks to the support of the 2019 Season Sponsor Procter and Gamble and the Carol Ann and Ralph V. Haile, Jr./U.S. Bank Foundation. About ArtWorks: Founded in 1996, ArtWorks transforms people and places through investments in creativity. To date, ArtWorks has invested in emerging creatives, hiring over 3,500 area Youth Apprentices and 3,000 professional artists, and trained over 580 creative entrepreneurs, supporting the growth and launch of over 365 creative businesses in our region. ArtWorks is grateful for the support of many individuals and organizations, including the City of Cincinnati, the Carol Ann and Ralph V. Haile, Jr./U.S. Bank Foundation, the generosity of community contributions to the ArtWave Campaign, and the Ohio Arts Council. ​Learn more at ArtWorksCincinnati.org. About 3CDC: 3CDC is a private, non-profit, real estate development organization focused on revitalizing Cincinnati’s urban core in partnership with the City of Cincinnati and the Cincinnati corporate community. 3CDC also manages and programs four of Cincinnati’s great civic spaces, Fountain Square, Washington Park, Memorial Hall, and Ziegler Park. See the final design concepts below. Please note, all designs are subject to change and revisions as seen fit by ArtWorks and the Artist.